Vintage romance with a modern metallic twist for weddings, bridesmaids or even a prom! 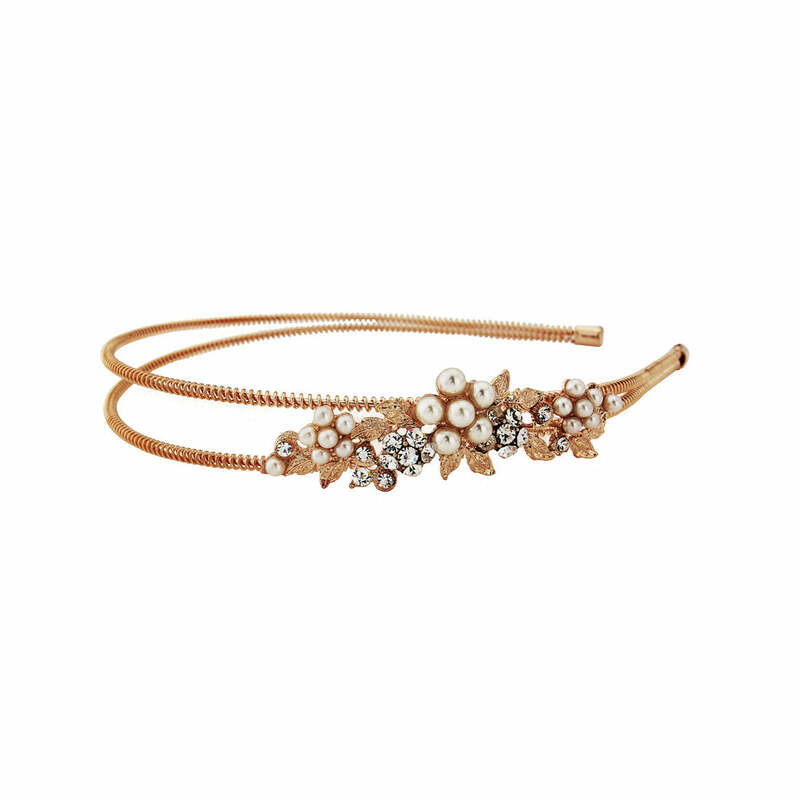 This pearl rose gold headband is a blush beauty. Vintage charm blends with modern rose gold to create our beautiful Blooms of Blush Headband. Featuring a whimsical side adornment of delicate leaves, sparkling Austrian crystal flowers and pale ivory pearls set on a rose gold double band, this captivating hair accessory is an exquisite finishing touch for brides and bridesmaids with a copper, peach or blush wedding colour scheme. A charming headpiece to adorn every hairstyle and length with a hint of modern romance, it perfectly embellishes the shortest of chic crops to the longest waves. With understated vintage style, this pretty headband enhances every bridal style from classic or modern to rustic and boho. Weddings aside, Blooms of Blush Headband is a must-have for every special occasion. A divine piece to wear in place of a hat to the races or to add a touch of glamour to a slinky silk evening gown, just add a pair of rose gold studs to complete the look.